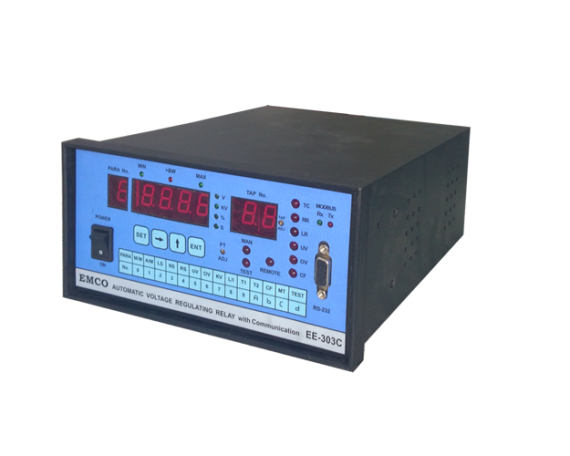 Emco Electronics’ Solid State Voltage Regulating Relay Type EE 301ET is used for regulating the secondary voltage of power transformer with on-load tap changer . 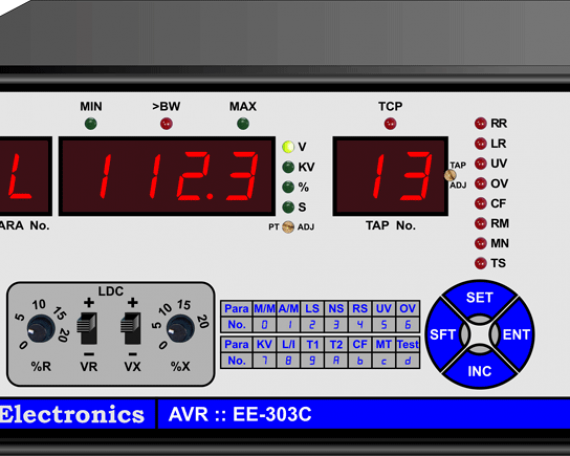 The required dead-band settings are set by setting the L & R levels independently. 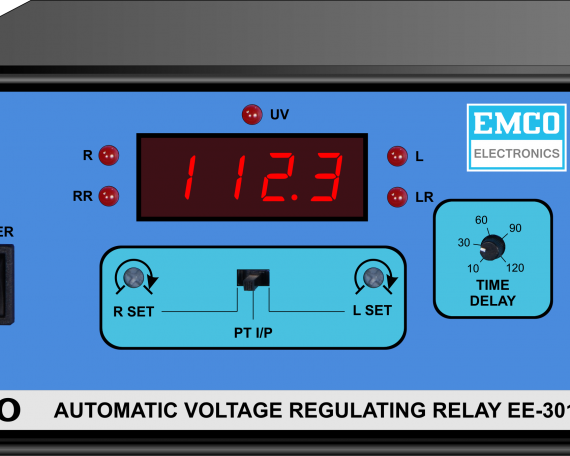 The Time Delay setting on the front panel eliminates the relay operations for momentary fluctuations of the regulated voltage thus reducing the number of operations of the tap changer. 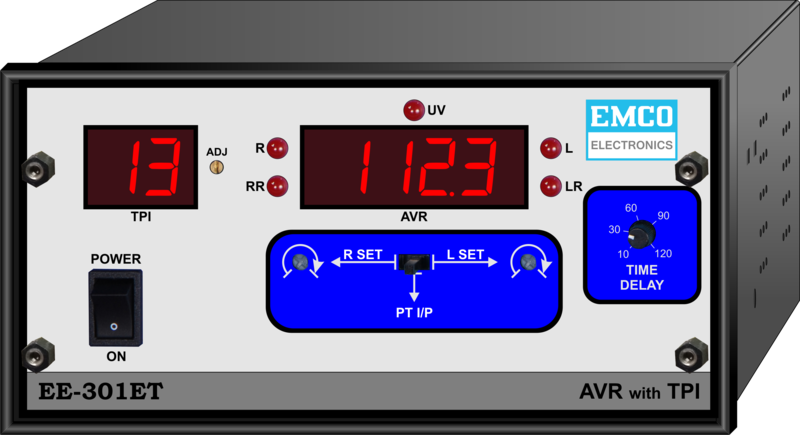 Integrated Tap Position Indicator eliminates the need of additional TPI for indication of Tap Number of OLTC. 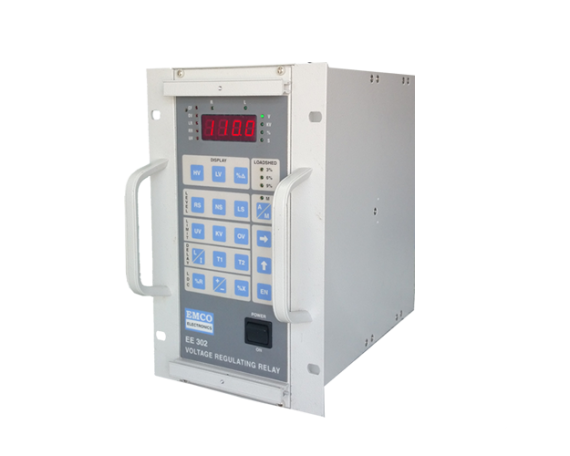 This reduces both on Space and Cost also reducing the wiring and making it easy.